Tree and stump removal for houses of worship, restaurants, theater lots, businesses, gardens, recreational areas, parks, and even forestry division venues. We provide complete debris removal and cleanup of leaves, twigs, branches, and all falling debris. Our team also safeguards your property, while protecting it from waste and tree residue. We have the skills to remove trees and stumps with little to no interruption to your daily lives and business. We protect our team members, customers, and their loved ones from power line injury. Advance Tree Pros abides by the strictest rules and regulations for tree and stump removal in the greater Orlando area. We utilize environmentally-friendly, green options to dispose of all tree waste. We network with local animal shelters and wildlife preservation bodies to protect animals found within trees we are hired to remove. Selecting the right tree removal company should not be hard. In fact, we invite you to research Orlando tree stump removal companies to make an informed decision. You will see, based on search results, that Advance Tree Pros has deep roots in the community and continues to receive outstanding industry ratings and customer reviews. We also explain the tree and stump removal process in great detail for all new and existing customers. While we remove aged and dangerous trees, we also do our best to save trees and protect the environment. Unless the tree is severely damaged from inclement weather or other reasons, we do our best to save these miracles of nature across Orlando. However, if the tree must be removed, we do remove all types of trees including, palm, oak, pine, redwood, elm, and other species. 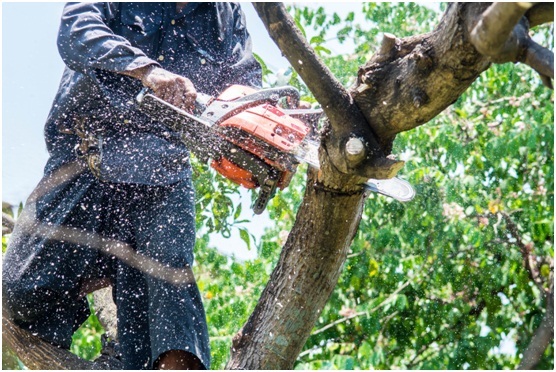 Additionally, we utilize the latest techniques and equipment to ensure safe, affordable, and efficient tree removal for home and business owners. No job is ever too big or small, and we are fully certified and insured. At Advance Tree Pros, we are always here to answer all your Orlando tree removal questions and concerns. We even participate in local tree and environmental conservation events. This keeps us connected and abreast of all the latest industry developments and changes. As always, our services include complete tree removal, land clearing, debris removal, and stump eradication. We work diligently, honestly, and with integrity at every turn. This means you get timely services, along with proven and measurable results. Tree services in Orlando require a professional. 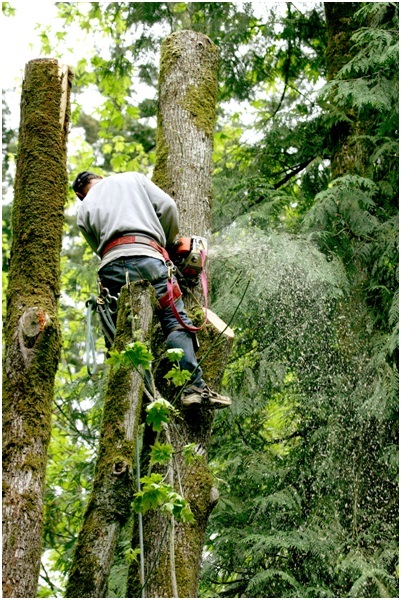 In fact, Advance Tree Pros highly recommends that all business or homeowners refrain from removing trees on their own. This can result in cave-ins, along with severe injuries to person and property. For any kind of tree service, we carefully check the roots of the tree to determine how old it is. This allows us to determine whether the entire tree should be removed or merely certain parts of it. Trees roots that can no longer sustain the bulk of the tree certainly need to be felled. However, a decision like this can only be made by a licensed and professional tree service expert. With highly skilled ISA Certified arborists, as well as tree pruning and root specialists, we can easily determine which trees need removal and which can be saved. Additionally, we also offer substantial discounts on Orlando tree service costs, along with free quotes and estimates. All you need to do is contact us for a complimentary consultation, and we will handle the rest. For more information on tree removal in Orlando, simply contact us today or visit our website.